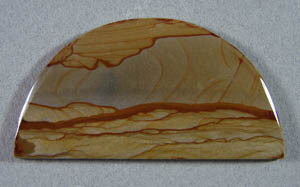 Cripple Creek Picture Jasper comes from our mines in the Owyhee Mountains of Eastern Oregon. 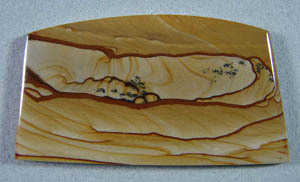 It is a very hard jasper that takes a glossy polish. The natural scenes formed in the rock are reminiscent of the area in which it is found.